Even as a child myself, I loved dinosaurs. My bother and sister (who are twins) and I went to the cinema with my mum to see Jurassic Park 2 - I was about 11 years old I think - after watching the first Jurassic Park on VHS a million times. Luke is the same - when we first met, we went to see Jurassic Park 3 together - and have enjoyed the box sets numerous times on a wet weekend. We buy him all sorts of Dinosaur themed goodies, from clothes to toys ... and now to bibs! 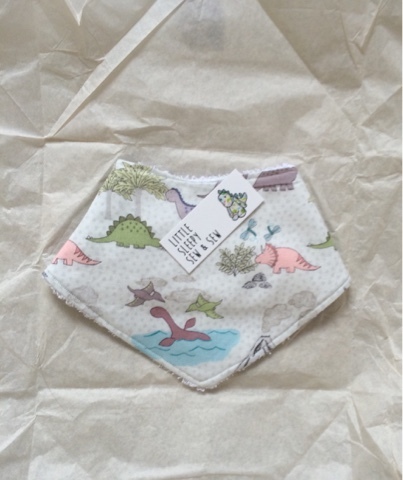 When I saw that the brilliant Little Sleepy Sew and Sew did bibs with dinosaurs I couldn't resist! Now I need to get one of her other dinosaur designs, because this one is just toooo cute. The delivery and packaging was excellent; it arrived very quickly after I made payment (just a few days) and came in a very pretty parcel pack (see above). 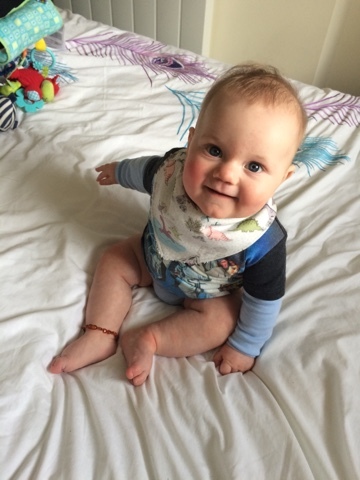 The bib itself feels extremely thick and soft, it's like a sumptuous towel that you enjoy when you get out of the bath, and it soaks up all of Jake's dribble! The design is beautiful and unique. The fun colours and the cute graphics make it a must-have for mums with kids who love dinosaurs and bright colours. Jake seems to really love his new bib - and has worn it a few times already since its arrival! It hasn't affected his eczema - a bit plus for us! 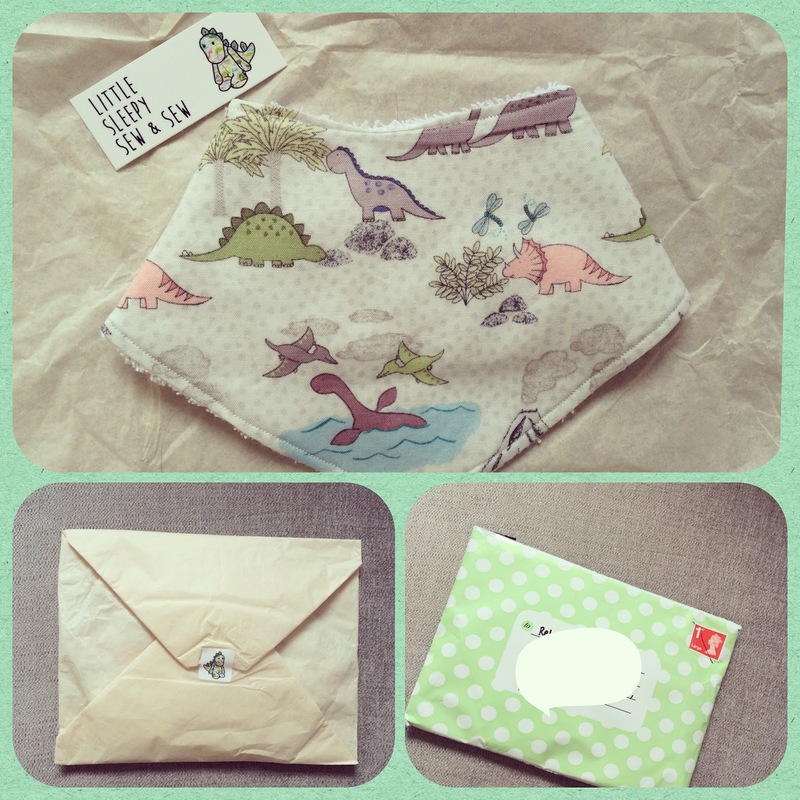 I hope to enjoy more products from Little Sew and Sew as her shop expands...I definitely need the other Dino print for sure!